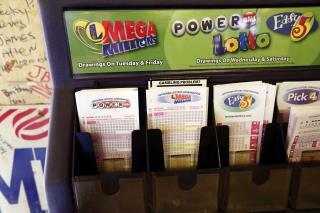 (Newser) – An incredibly lucky South Carolina woman is sharing her jackpot with city, state, and charity. The winner of an $878 million Mega Millions payout has already given some of her winnings to charities including the Ronald McDonald House in Columbia and the Red Cross relief fund for recent Alabama tornado victims, CBS News reports. Now she's giving some to Greenville, where she happened to be visiting when she dropped by a KC Mart to buy the winning ticket, per WCSC-TV. Some will go to South Carolina as well. It is very noble of her to donate to charities and not just think of herself. It seems to me she is very smart with the money. I think going forward she will continue to donate based upon her actions so far. It is very thoughtful of her to share her winnings. With that having been said, anybody who is fortunate enough to win a Mega Millions or Powerball jackpot in Michigan, will never have the opportunity to live a 'normal' or 'safe' life because they have to reveal who they are when they pick up their money. I think that anyone, who wins a large sum of money playing these games, regardless of which state that they live in, should be able to remain anonymous, if for no other reason, their own and their family's safety.